HONOLULU — With dengue fever cases increasing to epidemic levels this year in parts of the United States, and the tropics and subtropics where it had previously been absent or mild, Hawaii State Department of Health (DOH) officials are concerned about mosquito-transmitted illness appearing here in Hawaii. 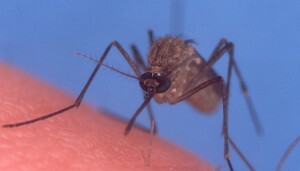 The DOH urges residents and property owners to clear standing water from areas where mosquitoes may breed. This year, five cases of dengue fever contracted outside of the state by travelers who became ill during their stay in Hawaii were investigated by the DOH. In 2009, six imported cases were reported, and in 2008, there were 14 imported cases. Health care providers should report to the DOH all dengue-like illness in patients, especially those who have recently travelled to/from Key West Florida, Puerto Rico or international dengue-affected areas, and submit specimens for laboratory testing. Health officials stress the need for every resident and property owner in the state to be increasingly vigilant about mosquito control in and around their homes and businesses, especially after heavy rains. Due to severe budget cuts the DOH Vector Control Branch is unable to treat mosquito infestations, but can provide information and recommendations over the phone. The DOH encourages residents to take a few minutes every week to walk around your yard and home and eliminate mosquito breeding areas, which can be anything that holds water. Throw away old junk that collects water like old buckets, tires and flowerpots, clear rain gutters, and turn over empty containers. Treat anything you can’t dump out with soapy water. Just a few minutes every week can help reduce mosquitoes which are not only a nuisance, but also a possible disease carrier.